Kate Middleton, Meghan Markle, and most recently Princess Eugenie showed us the regal beauty of the long-sleeve wedding dress. 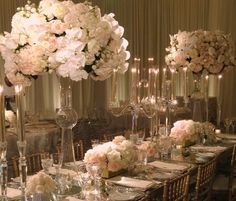 The design not only offers warmth, but also works with all bridal styles. This dress featuring all-over lace and floral appliqué by Oscar de la Renta encapsulates ethereal romance. 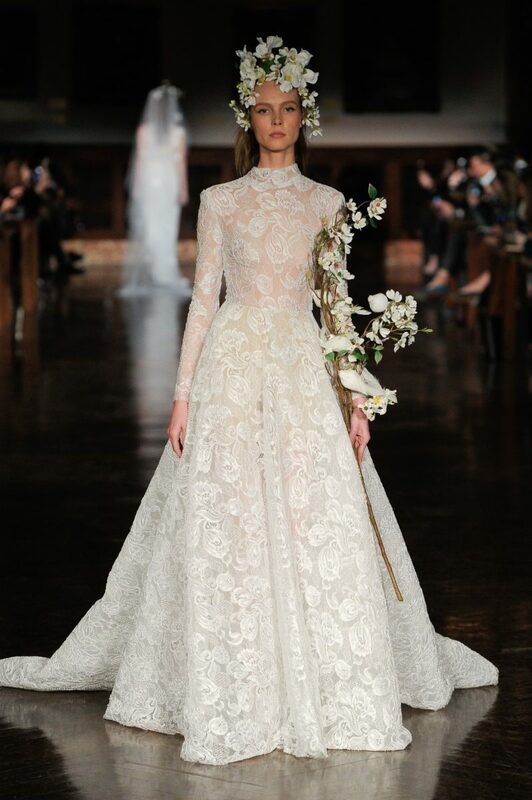 Combining a high neckline with head-to-toe lace, this Reem Acra gown epitomizes timeless beauty. 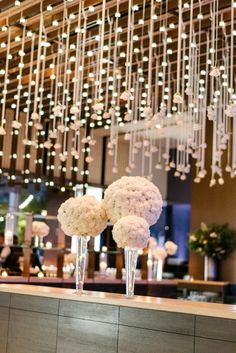 Isabella Armstrong’s sleek, minimalist design speaks to the modern bride. Amsale’s ball gown featuring a lace top and airy tulle skirt evokes a look fit for a princess. 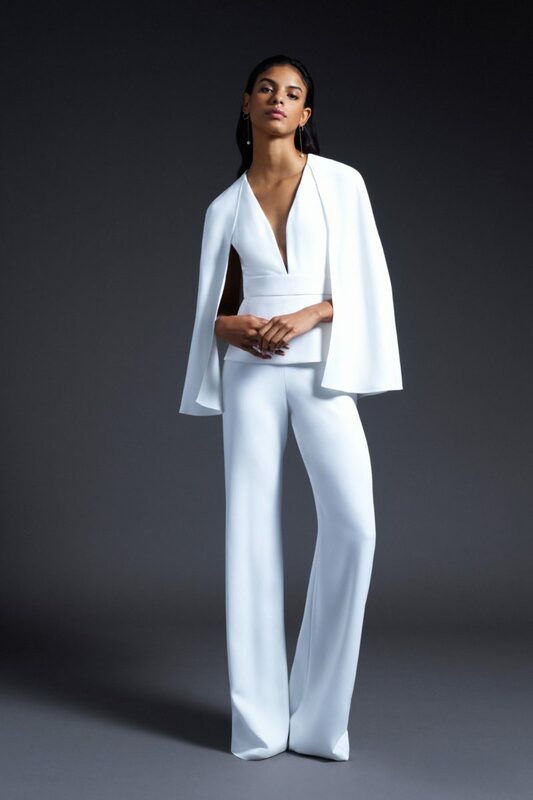 With clean lines and architectural detailing, this wedding suit by Cushnie has the fashion-forward bride in mind. Look cool while staying warm with a bridal moto jacket. 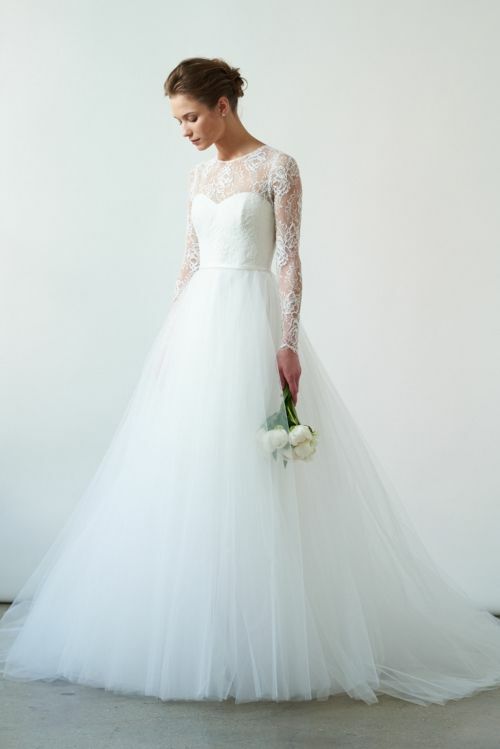 Made of delicate white lace, Monique Lhuillier’s design combines pretty softness with edge. 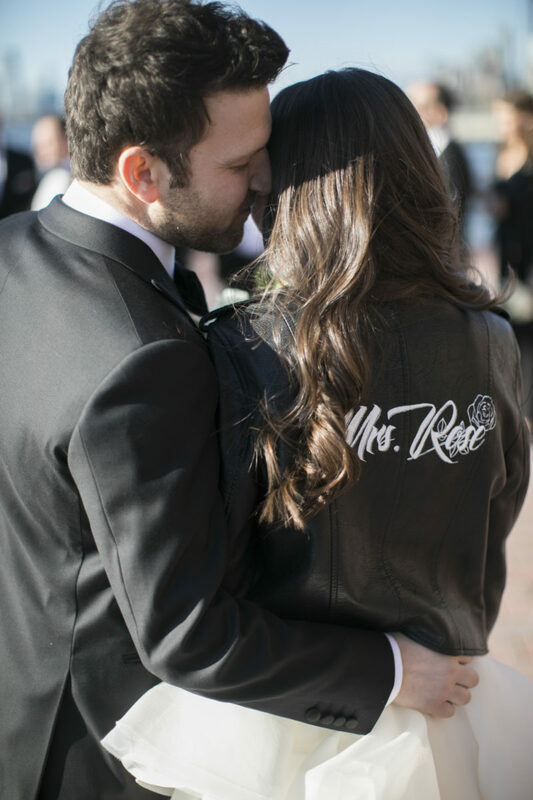 Putting a personal spin on wedding fashion, our bride Marisa complemented her gorgeous Reem Acra gown with a custom-designed black leather jacket by Leftys Right Mind. 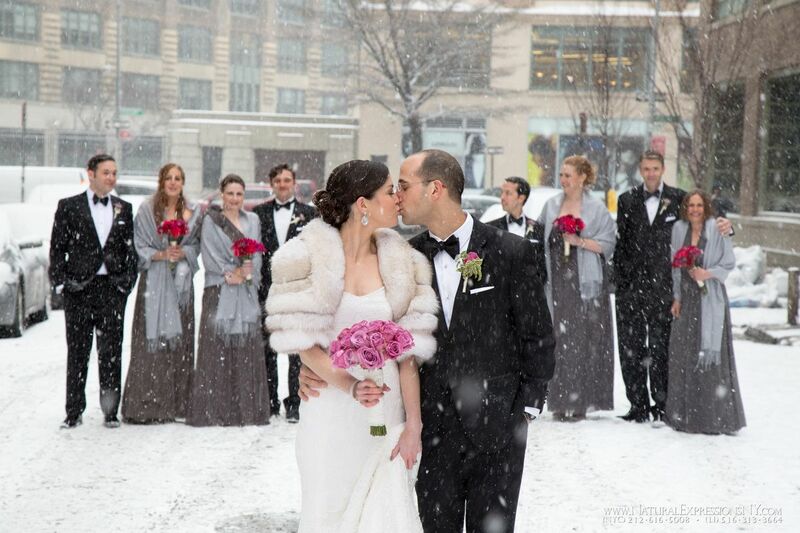 Appropriate outerwear is a must for the bride who dreams of a winter wonderland wedding. We love the modern take on this vintage inspired wool cape by Lela Rose. The pearl buttons and crystal embellished florals paired with the of-the-moment sentiment on back make it an instant statement piece. Radiating sophisticated glamour, this faux fur cape from BHLDN will look captivating in your wedding photos. Featuring deco-inspired embroidery, this floor length lace cape for Tadahsi Shoji exudes luxurious allure. Here’s the ultimate winter accessory to shrug off the cold. Featuring flecks of silver thread, this gorgeous feather shrug from BHLD captures winter glamour. Simple and understated, this Mikado jacket from David’s Bridal is versatile and works with most any bridal look. 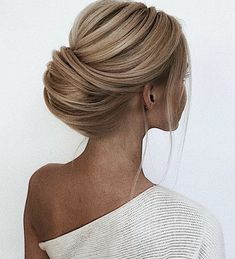 The scarf’’s ability to elevate an everyday outfit is undeniable. The same goes for wedding attire. A sheer scarf with subtle silver sheen channels the season, radiating effortless beauty. 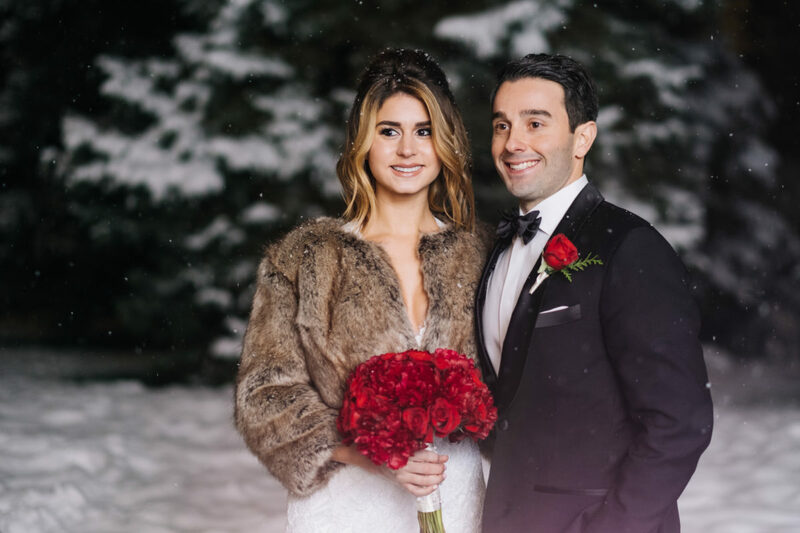 Make that dreamy winter wedding photo session more tolerable for your leading ladies by giving them pashminas as bridesmaids’ gifts. When it comes to fashion, the winter bride has much to be excited about. 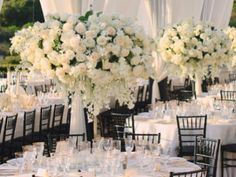 We hope these ideas help you put together a wedding ensemble that will have you looking gorgeous and feeling warm on the big day!